It was a grey morning but warmer than recent days with no threat of ice for a change. The 9:30 and 10:00 rides were combined due to illness. Hope Peter recovers soon! 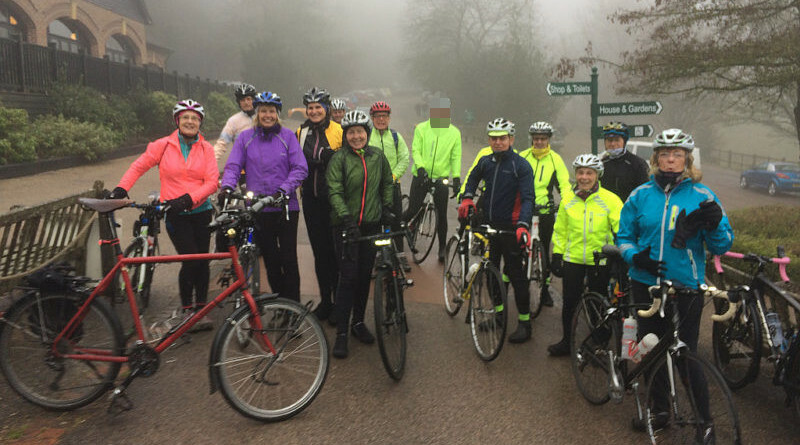 Sixteen hardy souls met at Shurguard for the ride to Chartwell. We split into two groups; I led the first group and Sally led the second group. I wanted to try an alternative to the normal route up Mitchley Hill and along the Limpsfield Road to Hamsey Green. So we climbed steeply up to Ingleboro Drive and then on to the school on Riddlesdown where we joined a track. This was a gamble that didn’t pay off! Apologies everyone. I recently ran the Riddlesdown Park Run and noted the track looked firm, made of packed stones and was well drained. Unfortunately this was only true of the Hamsey Green end of the track! We encountered quite a bit of mud so it wasn’t ideal! Apparently, I now have to clean a number of bikes by way of compensation! Claire punctured. 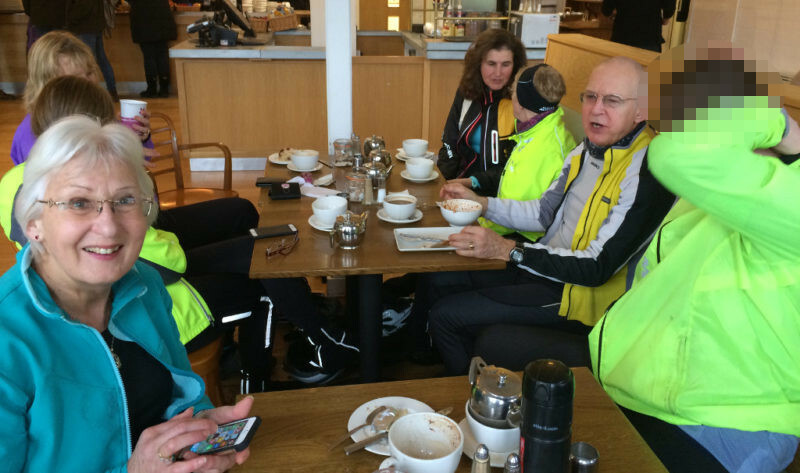 The front group were getting cold and keen to continue so we split the ride. Fortunately Sally had the route downloaded on her GPS (although it transpires she sensibly decided against using it). The lead group headed down Bug Hill and then up the long drag of Lunghurst Road (or should it be Lung Hurt Road?) up to Woldingham which was shrouded in fog. 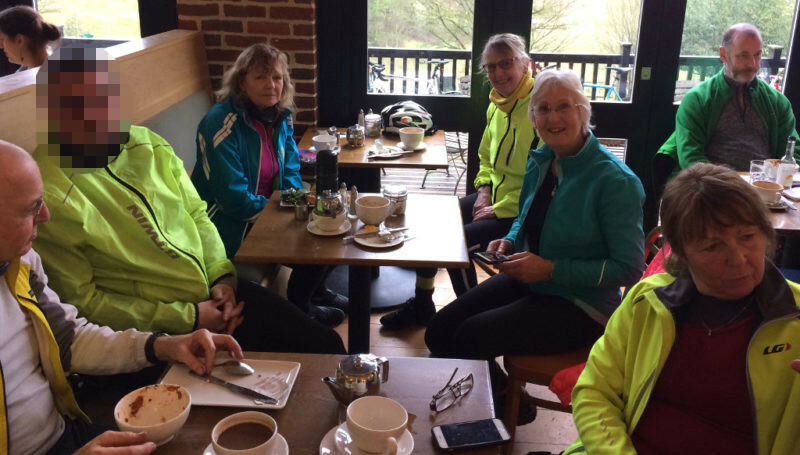 We then descended the Downs via Tandridge Hill Lane into Tandridge and then followed a convoluted route to Chartwell via Merle Common, Itching Wood Common and Crockham Hill. Crockham Hill lived up to its name with a steep ascent followed by a steady drag of a hill up to Chartwell. At first I thought it was closed and that I would definitely be strung up but luckily it was just the house and grounds that were closed not the café. Phew! 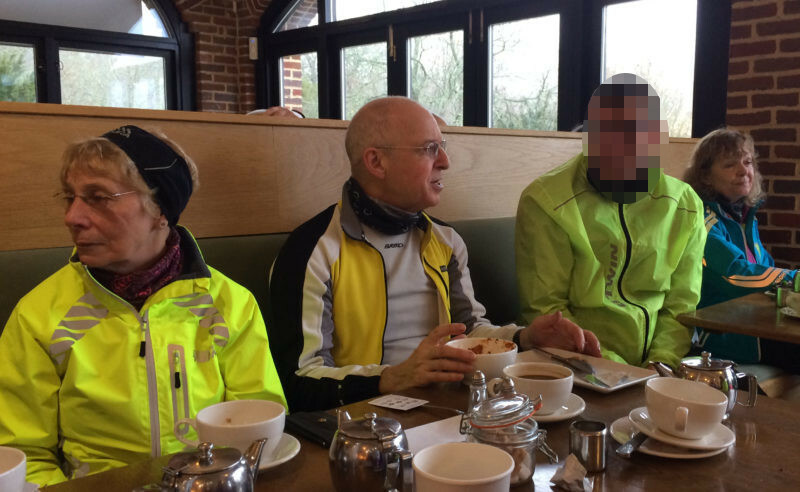 We all felt we had earned a coffee break, except for Barry who wanted to do some extra endurance training and set off back into the mist! We were surprized to see the second group had beaten us there. 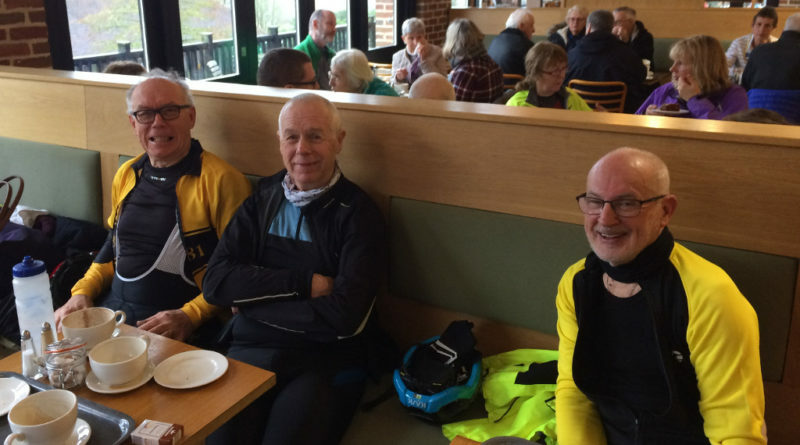 Having been delayed by a puncture and the track they had opted for the more straight forward route; Limpsfield Road to Botley Hill and then down Clarks Lane to Westerham and onto Chartwell. Relieved that everyone had made it safely and with Chillie Beans, Coffee, Scones, Cake & Tea etc. consumed we returned via the Westerham and Clarks Lane. I did manage to sneek in another unused road up to the Pilgrims Way but it was in a terrible state so I can see why its rarely used! 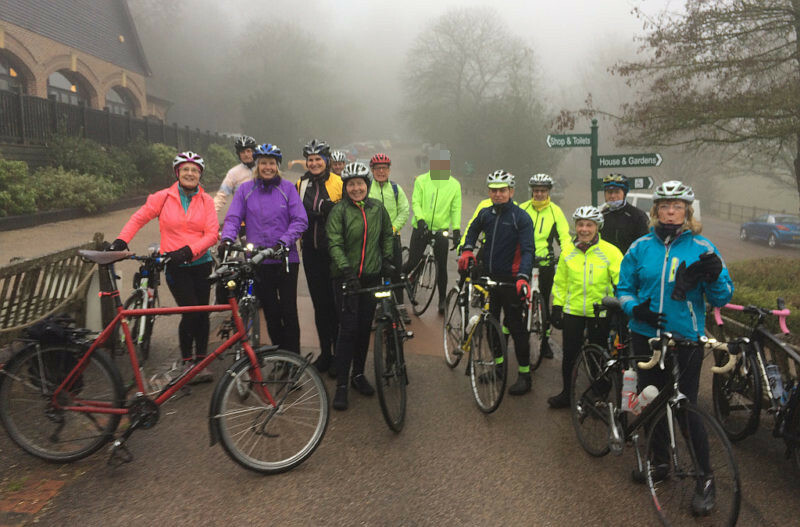 Some opted for returning down the Limpsfield Road despite the dense fog, others headed for Whyteleafe/Caterham and some went down Beddlestead. It was fun to go down the long drag for once but less fun climbing the 15% short hill at the other end! I think the Riddlesdown Track will have to wait to the summer before being attempted again but it does look like it could be a good alternative to Mitchley Hill when the conditions are right! Thanks everyone for putting up with my attempt at discovering a new route, I’ll try to avoid tracks for a while!